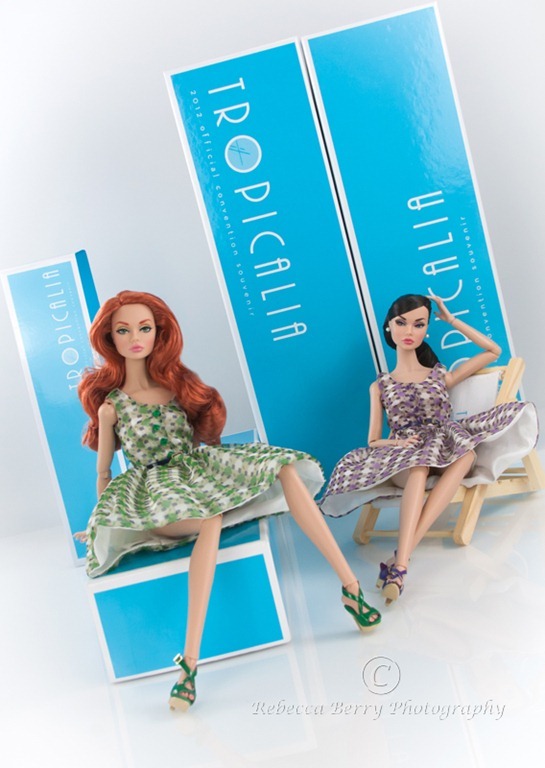 Tropicalia workshop Poppy Parker and Dream Teen Poppy Parker in Envied and Passionate Monogram dresses. Chair was a gift to all convention attendees. Note: You don’t need an elaborate background to have an interesting backdrop. Sometimes the boxes themselves can be interesting and fun. This entry was posted on October 8, 2012 by raberry65. It was filed under 2012 Fashion Royalty Convention Tropicalia, Fashion Royalty, Poppy Parker and was tagged with Convention Workshops, doll convention, Dream Teen Poppy Parker, Integrity Toys, Poppy Parker, redhead Poppy Parker, Tropicalia, Tropicalia Fashion Paradise, Tropicalia workshop Poppy Parker, W Club Exclusive Poppy Parker. Eeeek! A red headed Poppy. Love her. You are right, her hair is perfect. Poppy dolls have eluded me thus far, but one day…..
Be very careful Vanessa….once you start….there will be no going back LOL! 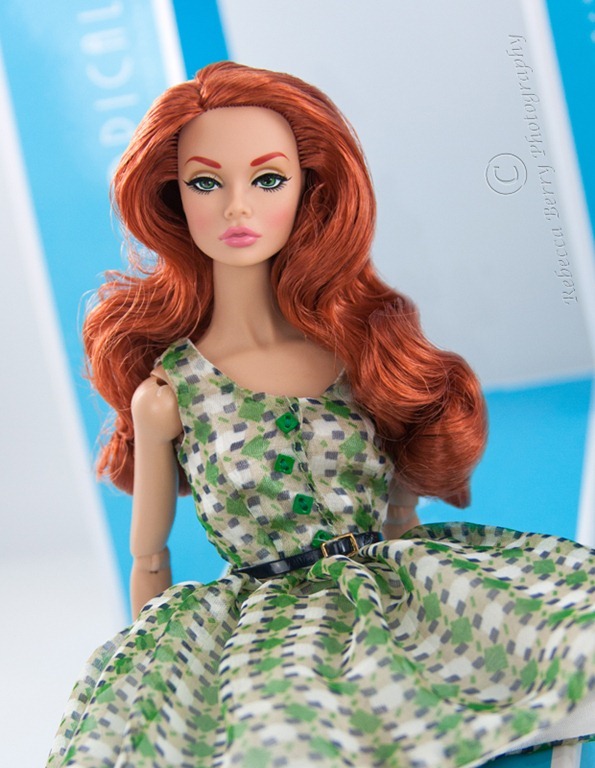 Gotta love a redhead – she is beautiful!